Attic find sold for millions! 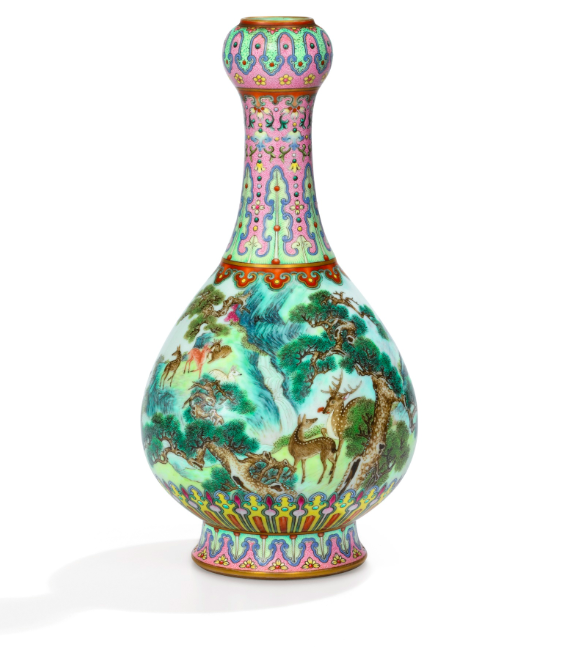 A porcelain vase found tucked away in an attic sold for 16 million euros on Tuesday morning at Sotheby’s auction house. The Chinese Famille Rose vase is one of two known vases of this particular kind. The vase was found by chance in the attic of a French country, and had collected dust for years. The vase was gifted to the current owner’s great grandparents in 1947. After discovering the vase and contacting Sotheby’s, the current owners wrapped the vase in newspaper, placed it in a shoebox, and got on the train to Paris. Once the owner and the vase arrived at the auction house, Sothebys’ experts were in for a bit of a shock – they had rarely seen a more exceptional vase. The piece was estimated between 500 000-700 000 euros, but the hammer price was more than they would have imagined. The vase, called Yangcai in Chinese, meaning “foreign colors”, are from the Qianlong period (1736-1795) and were made in the royal workshops in the Chinese town of Jingdezhen. The design has been called a tour de force of complex and detailed decorations in the form of floral motifs and idyllic landscape scenes with deer, cranes and conifers. The Yangcai period is also known for producing unique objects. Items from this period have occasionally been produced in pairs, but never in larger series. Before 1947, there is no known documented provenance of the vase. But a receipt for a censer bought at the 1847 International Exhibition in Paris showed that a relative to the current owner had a great interest in Asian artisanship. It is possible that the record breaking attic find was bought during the late 19th century, when Chinese and Japanese art was considered highly fashionable in the French capital. 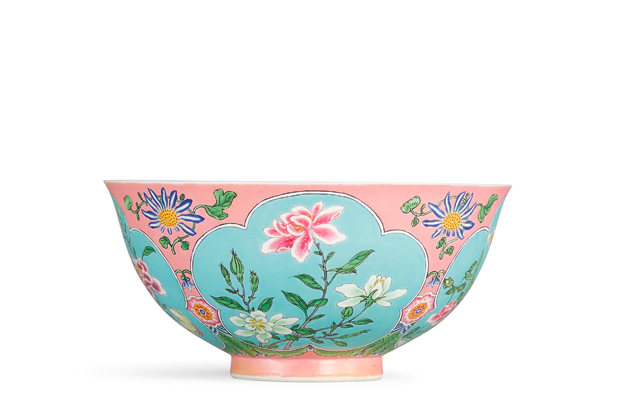 See all realised prices of asian art and crafts here! There are two known versions of this vase, so there is another one of this particular kind. The second vase was bought during the same time by the French art dealer Philippe Sichel. Sichel was an early advocate of Asian Art in France. Today, that second vase is a part of the Musée Guimets collections. The cranes and deer resemble motifs from roller paintings of the same time period, and are considered highly rare; only two vases of the same kind being documented in the royal inventory of that time. There are only two vases listed, one in 1765 and the other in 1769. The hammer fell at slightly over 16 million euros - not bad for something found in a dusty shoe box in the attic. What are your forgotten heirlooms worth? Find out through Barnebys valuation service.